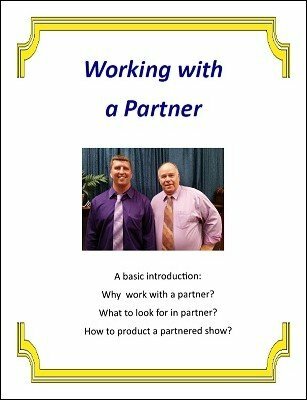 A primer for working with a partner. This text addresses such questions as: why work with a partner, what do look for in a magician you want to work with, documents that both partners need to consider, the basics of putting a performance together and other information. 1st edition 2016, 21 pages.